The XFL will return in 2020 and here are a few reasons why the league may look to put a franchise in Hartford, CT.
After 19 years the XFL will be returning in 2020. World Wrestling Entertainment founder Vince McMahon announced earlier this week that the football league that only last one season in 2001, would be returning without the gimmicks that the league was originally known for. Some of the initiatives the league will be to speed up the pace of play and also barring any player with a criminal record. The full announcement was made on ESPN and can be viewed below. The debate about whether this league will work is a good topic for another day. Instead let’s focus on an intriguing question that hasn’t been asked. Where will the eight teams play? The original XFL had an Eastern and Western division with four teams in each division. The East featured teams in Birmingham, New York/New Jersey, Orlando, and Chicago with the West having Las Vegas, Los Angeles, Memphis, and San Francisco. With the XFL looking for potential sites there could be a new market that could be a dark horse for a franchise. That city would be Hartford. Hartford, Connecticut? Surely you must be joking? However, the more you think about it the more it makes sense. 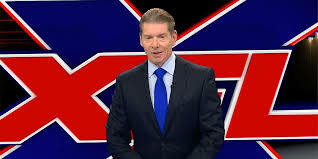 First, McMahon has announced that he will be the owner for all eight teams. Think about that. Not only will he be the league commissioner but he will also have to keep track of every team’s day-to-day operation. I can definitely see a franchise in the New York and New Jersey area, given it’s the largest television market in the country, but Hartford would make it easier to handle a franchise that is right in the WWE’s backyard. The company’s headquarters, and likely the XFL’s headquarters initially will be based out of Stamford, Connecticut. Having a franchise in Hartford along with one in New York would put two of the eight franchises in near to the company’s headquarters thus making day-to-day operations easier. Hartford hasn’t had a professional sports franchise since the Hartford Whalers left in 1997. Now many of you will be saying that the market can’t support that. People forget that the New Haven and Hartford television market are one of the top thirty television markets in the country. In an area without a professional since 1997 when the Hartford Whalers moved out, this could be a market that would get behind a professional team. Another encouraging statistic from Hartford Business was that the newly formed minor league ball club, the Hartford Yard Goats, set a minor league attendance record in their inaugural season drawing in over 395,000 fans. Let’s also not forget that the original XFL played in smaller markets. Nielsen ratings in 2017 had the Hartford and New Haven as the 30th television market in the country. Of the original eight teams three of the teams were in smaller markets: Las Vegas (40), Birmingham, (45), and Memphis (51). The next question I know you’re dying to ask but where will they play? It turns out that East Hartford has the perfect facility Pratt & Whitney Stadium, the home of the University of Connecticut football team. It’s a 40,000 seat stadium that was built-in 2001 specifically for football and hosted the UFL’s Hartford Colonials from 2009-2010. For an expansion league, the XFL would be wise to avoid large NFL Stadiums for attendance reason. The first time the XFL averaged just over 20,000 fans a game. If they were able to get 30,000 fans for these games it would look better to have a smaller football or soccer stadium that they have the chance to fill as opposed to a massive 70,000 seat stadium. While professional football in Connecticut can be viewed as a long shot, the more you think about it, the more it makes sense. The state has the television market, provides a location close to the WWE Headquarters, is a market without a professional team, and has a football stadium that’s a perfect fit for the league’s specifications. Even if Hartford isn’t one of the eight cities selected for a franchise initially, their qualifications and infrastructure would make the city a leading candidate if the league can grow and eventually expand. It’s still a long way until the XFL kicks off in 2020, but if the league is looking for a new market when they start this league, one option could be McMahon putting a franchise in the same state where his wrestling conglomerate calls home.